Fresh Red Onion is cultivated same like the regular onions. The provided red onion has high nutritional benefits as it contains antioxidant phytonutrients, chromium and anti-bacterial properties that has an advantage in reducing the oxidation of dietary acids, cancer symptoms, cardiovascular disease, blood pressure and many more. The offered red onion has anti-bacterial, anti-fungal and anti-inflammatory properties. 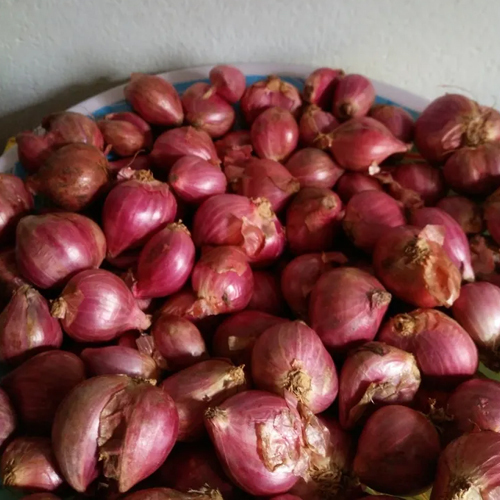 Offered fresh red onion is cultivated in clean and hygiene condition by farmers. In addition to this our client can buy this very Fresh Red Onion from us in proper packaging. The offered red onion has rich content of vitamin C and vitamin B6.